Shirley Ann Silver, 87 of Philo passed away at 5:30 p.m. on August 25, 2018 at Advocate Good Shepherd Hospital in Barrington, IL. Memorial Services will be held on Saturday, September 8, 2018 at 11:00 a.m. at Renner-Wikoff Chapel in Urbana. Rev. Janet Proeber will officiate. A visitation will be held prior to the service from 9:30-11:00 a.m. at the funeral home. Burial will take place at Locust Grove Cemetery in Philo. Shirley was born on March 24, 1931 in Champaign to parents Ray L. and Irene F. (Everman) Helbling. They preceded her in death. Also preceding her in death were her son Gregory Silver and her daughter Lisa Mohr. On June 27, 1952 she married Duane W. Silver in Champaign; he passed away on January 4, 2014. 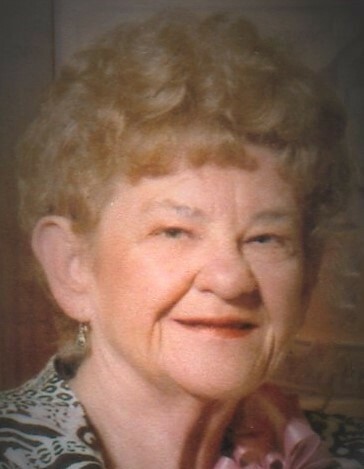 Shirley is survived by her children; Steven (Ruth Ann) Silver of Bloomington, IL, Michelle (Kevin) Kendrick of Cary, IL, Jennifer (David) Peterson of Wauconda, IL, her sister Janice Clifton of Davenport, IA, son- in- law Alan Mohr, sister- in- law June Gault, fourteen grandchildren and fifteen great-grandchildren. She was a 1949 graduate of Champaign High School and graduated from Champaign Commercial College in 1950. She worked at Residence Hall at the University of Illinois. After her son Greg suffered a head injury, Shirley started a head injury support group and was Greg’s primary caregiver for twenty-four years. Shirley had a nurturing and caring spirit and took care of the people she loved. She was a caregiver to her father- in -law, uncle, mother and her husband. Shirley loved her pets; Biscuit and Penny, loved reading the Bible and spreading the Gospel, teaching Sunday school, bird watching and visiting nursing homes to bring light and joy to the residents. The highlight of Shirley’s life was her trip to Israel and being baptized in the Jordan River with her husband Duane. Shirley knew no strangers and is going to be missed by those who were blessed enough to know and love her. Memorial Contributions may be made to Cystic Fibrosis Foundation or to the American Lung Association in Shirley’s honor. Condolences may be offered at renner-wikoffchapel.com.